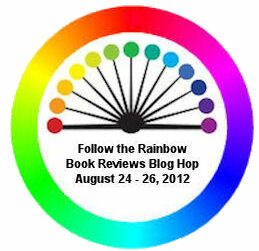 WHY: In celebration of our new book review site we’d like to invite all GLBTQ authors to join us as one of the blogs in our Follow the Rainbow Blog Hop. WHO: We hope that many of you will join in our excitement and help us celebrate. Please include the following information: your name, name of your blog, and a link to your blog. The deadline for sign-up is Wednesday, August 22, 2012. Thank you! Rainbow Book Reviews will provide 4 Book Gift Vouchers (All Romance or Amazon) of $25.00 each and pick winners at random from comments on the Rainbow Book Reviews blog. Several publishers have already promised prizes in the form of book vouchers and other goodies. They will show up on this blog as we receive updates. We would love authors to also provide one or more prizes with the winner to be chosen from one of the comments made on authors’ blogs.